Desktop Computers,Motorcycle Collectibles,Nice Vanity Dresser And More!!! Vintage Items, Tools, Furniture, Household Goods, Collectibles, Autographed Race Cars and More! 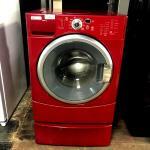 Outfit your home with new appliances! Keg & Barrel Bar And Spirit's Closeout Auction!!! Smoker,Glycol Chiller,Seating,Tables Flat Screens And More!!! The quality and selection of the tools, appliances and merchandise on this auction is spectacular. Hundreds of brand new items up for auction. 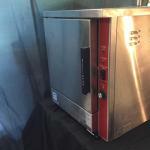 Wide range of restaurant equipment up for grabs to the winning bidder! Hillsdale Floor Cleaning And Pallet Blow Out!! Local Floor Cleaning Company Warehouse Floor Scrubbers And Carpet Cleaners. Raytown Fall Cleanup Auction 2!!! Granite Top,Sporting Collectible Goods,Travel Accessories And Much More!!! Raytown Merchandise Goods Online Auction!!! 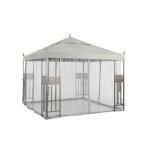 Fence Netting,Hot Plates,Storage,Pet Carrier And More!!! 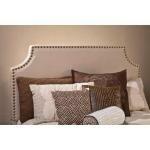 *JeuDeLuebb Collection* Furniture Warehouse Deals! JeuDeLuebb Collection August Warehouse Deals! Extended - Zonkers Restaurant Equipment Auction!!! Hood System,Walk-in Combo, Storage And More!!! Strawberry Hill: Tech, Music, Hardware and More! Tech, Music, Selfie Sticks, Hardware, Stationary, More! 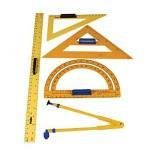 KCK- Re-modelers/Builders Improvement Supply Sale!!! Rush!!! Raytown Warehouse Fall Cleaning Blowout!!! Aluminum Powder Cleaner,Moving Blankets,Carlisle Goods And More!!! Your Premier Indoor Garden Supply Company. New Raytown Warehouse Stock Reduction!!! Wichita Warehouse Clean Out Auction! Flooring Accessories,Apple Imac Computer,Watercraft Accessories And More!!! Furniture, Outdoor Items, Tools And Much More! Over 100 cases of brand new Tuxton 9" square China plates. Outfit your entire restaurant or catering faciity at your bid! Warehouse blow out pretty much sums this one out check out some great deals on some good stuff! Franks Trading Post Vehicle Auction!!! **>>Storage Assassins<<** In CAHootz Shop n Auction!!! Sectional,Living Room Combo,Storage,Tools And More!!! Late model and clean vehicles ready to be put back on the road. Quality Augusta,Ks Estate Of Kay Armstrong! Kay Armstrong has decided to move with one of her daughters to California and has hired us to sell her quality estate at online auction. Lots of like new restaurant equipment up for grabs. Come check it out! New Raytown Warehouse Auction Goods!!! Granite Sink Top,Sport Cards,Seasonal Goods And Much More!!! 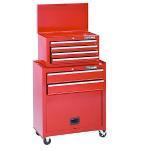 NEW ITEMS ADDED 08/24 TRUCKLOAD OF TOOLS HAS JUST ARRIVED AND WILL BE ADDED SOON. 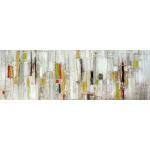 LOOK AT AUCTION DAILY FOR NEW ITEMS THIS WILL BE A GREAT SALE WITH GREAT DIVERSITY OF HIGH END PRODUCTS. KDOR Vehicle And Tool Seizure Auction! Truck, Work Van, Tools And Much More.